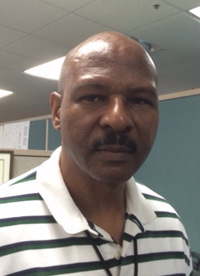 Calvin Doucet was born in Port Arthur, Texas, the youngest among five other siblings. After graduating from Lincoln High School, he attended Prairie View A&M University where he received a Bachelor of Science Degree in Electrical Engineering. As a Professional Engineer, he worked in the Electric Power Industry for more than three decades. During his engineering career, he touched the lives of others by serving on city boards, coaching, mentoring, or just advocating for the right cause. Faced with adversity, the Author leaves engineering which provides an opportunity to fulfill his dream of writing a book. The Author dedicates this book to his mother, son, and six grandchildren. 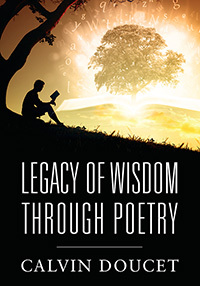 Legacy of Wisdom through Poetry, thirty-one thought-provoking poems within five chapters: Motivation, Love, Life Experiences, Reality, and Inspiration. In this book, the author candidly shares personal experiences in his own unique way. The author utilizes his strengths such as coaching, mentoring, community service, soft skills and engineering background. All of these strengths with the exception of engineering background help the author transmit feelings regarding past experiences and events through poetry. The author’s engineering background helps provide a logical and chronological order of details and events. From the love demonstrated by his mother, the Author is inspired to write “Mother’s Love,” the last poem in the book. From his senior year in High School, the Author shares a valuable lesson learned from his varsity basketball coach in the poem, “Don’t Quit.” From coaching boy’s basketball for more than a decade, the Author tells a story about how a player gives love back to the coach in the poem, “Who’s Taking Care of Coach.” Turning a negative to positive, the Author candidly shares how his adversity provided for a better relationship with his son and grandchildren in the poem, “Adversity Can Bring Joy.” There are twenty-seven more poems with a variety of information that can help instill values in you and your loved ones. There are poems for the entire family, all within one book. This book is excellent for family readings or bedtime stories. This book will provide a legacy of wisdom to enrich your life. Legacy of Wisdom through Poetry is the perfect gift for any occasion.